Food was sparse the time we came out from being a soldier and we didn't have food to eat until we cut bananas from the trees that were not ripe. Missing a house when we came out of the forest from being with the Mai Mai, we didn't have a house here. 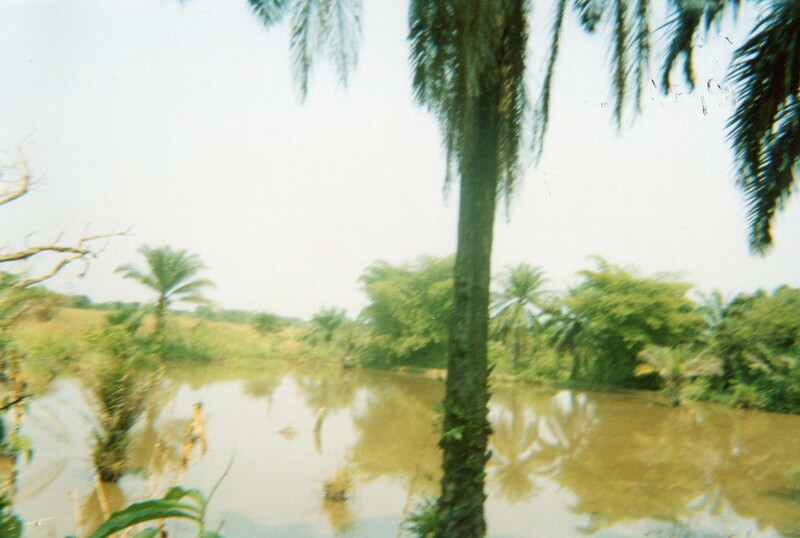 This is a pan of medicine from the Mai Mai mixed with grass. My parent welcomes me when I came out of the forest for the work of Mai Mai. She welcomed me with happiness in the road. 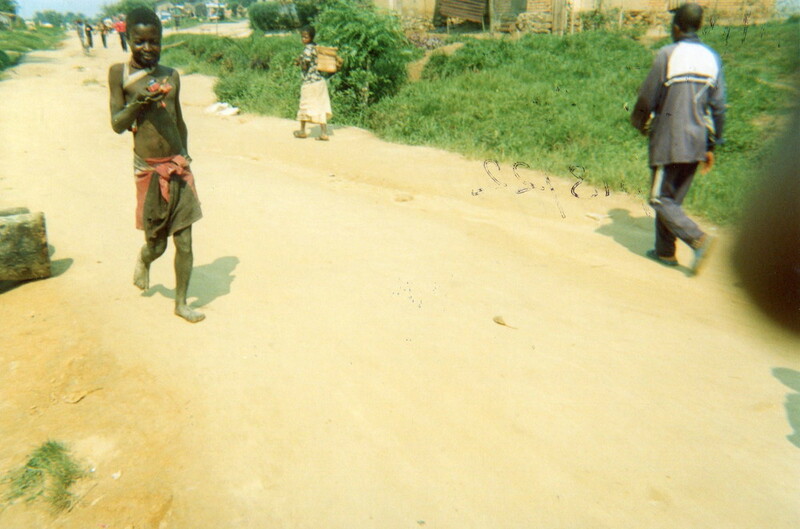 The children who shouted at me in town when I came from the bush. 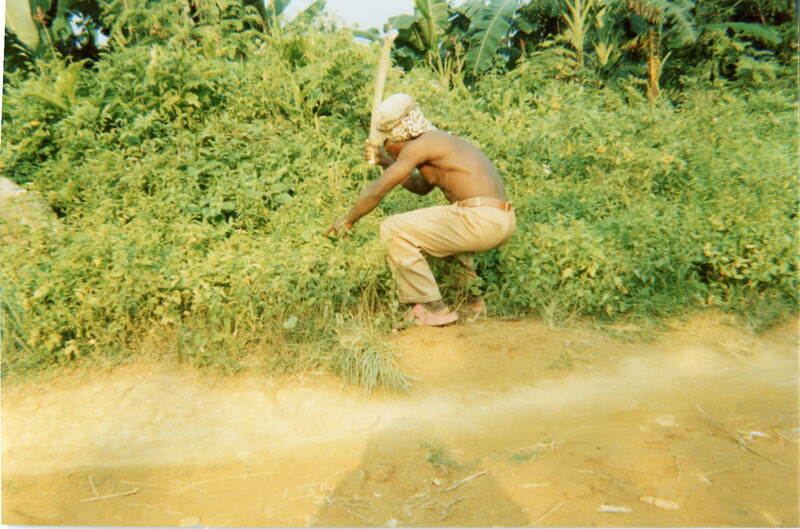 It's one soldier who practices agriculture as soon as he left the bush. The mom and family of a soldier sends food because of difficulties in the forest. Displaced people from the village during the war. This girl made medicine and prepared food for the soldiers. This is a woman who became sick in the head because she carried the baggage of medicine in the forest. This reminds me of wartime, a soldier wears grass and medicine on his head. These are Mai Mai's children, some are sitting down others are playing near the houses of the poor people. This is a hall in which we learn carpentry. This is a student who used to be a Mai Mai soldier, today he learns handiwork and because lots of difficulties, he is very tired. This nurse does her work, if she asks for her money from a soldier, he can't pay. The nurse is angry. 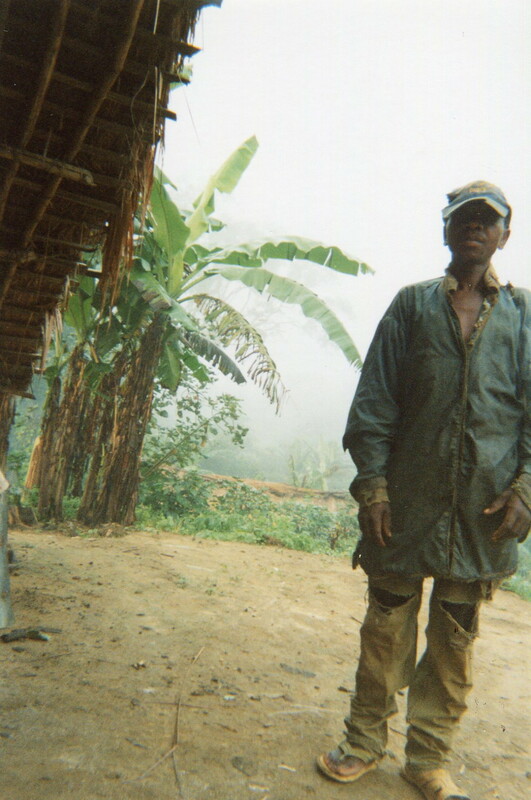 This brother cleans the market because he doesn't have any other work after he came out of the forest. 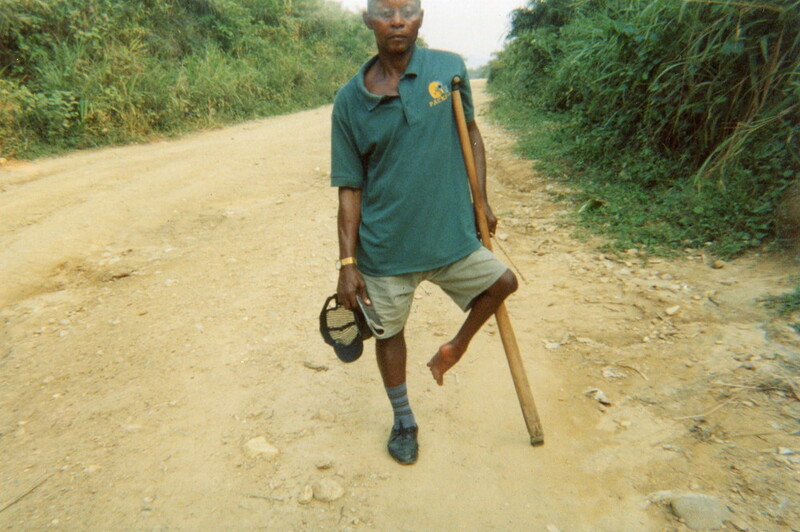 This is a Mai Mai commander in the village in Mulombozi forest. He was raising cows. After finishing school, this is the first chair that I finished to make. The difficulty that kids have is to not have food and this is why they go in the forest to look for food. Here we don't have a way to feed our families. My family is very happy to see that I left the work of being a soldier. 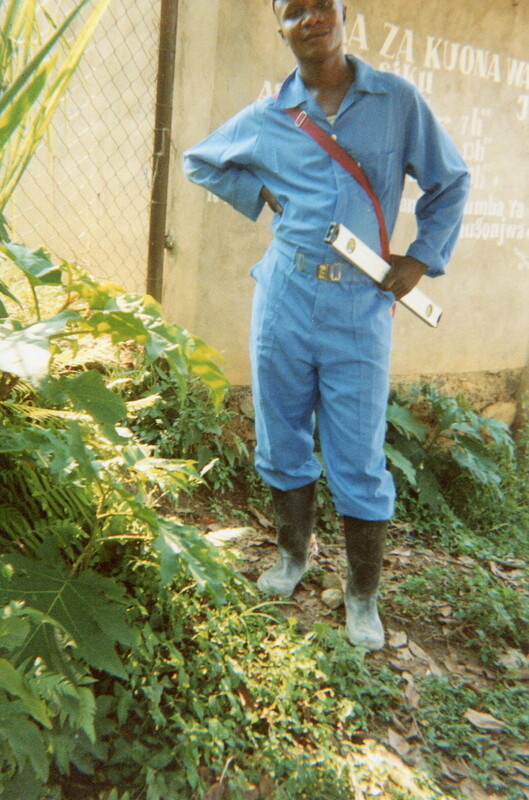 Here I am very happy because I am in the village and I have left the work of being a soldier. 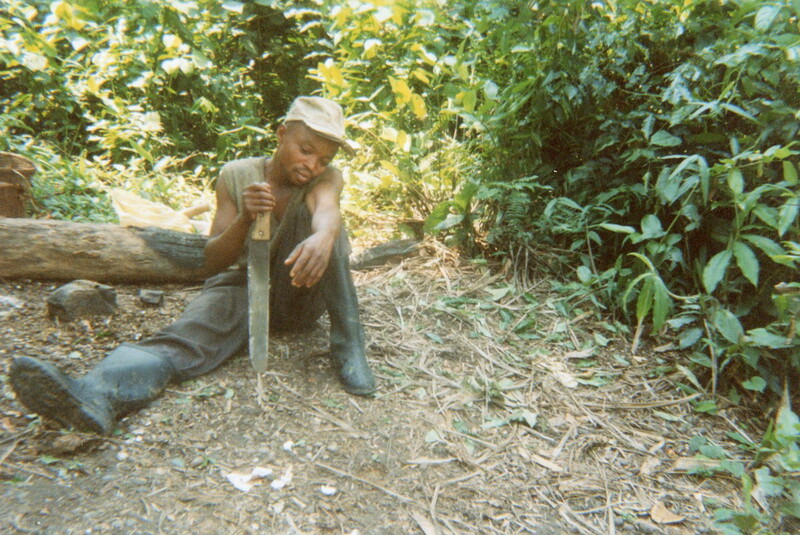 When I left the forest I met a lot of difficulties at home when I saw that all the kids did not have food. I am very happy to see the leaders of PREV/HIA because they will teach us handiwork. The difficulty we have in the training is the long journey on foot to reach there. People arrive late. We have a small difficulty to get materials to learn. Here is where we learn handiwork at PREV/HIA. Here we practice masonry and we will get money. My children slowly start to get used to the village, here they are coming from fetching water. Here the family throws a party because I left the work of being a soldier. Here is the place we used to sit when we were soldiers. Here was where we took our Mai Mai medicine. This is a place where we went to bathe after a week without washing our bodies. I am exhausted with our Mai Mai medicine. Here we take Mai Mai medicine and this is the woman who cooked it herself. I have a lot of problems at home because my children have no food. This woman was stabbed with a knife in her right eye. He was a nurse for handicapped and he got hit with bullets in his leg, but he healed and is handicapped. It's the commander who used to wash us with witchcraft when we were in the bush. My handiwork after I left the forest. The hospital where I got treatment when I left the forest. The old man who welcomed me when I left the forest and helped me with advice that I should not return to the forest. 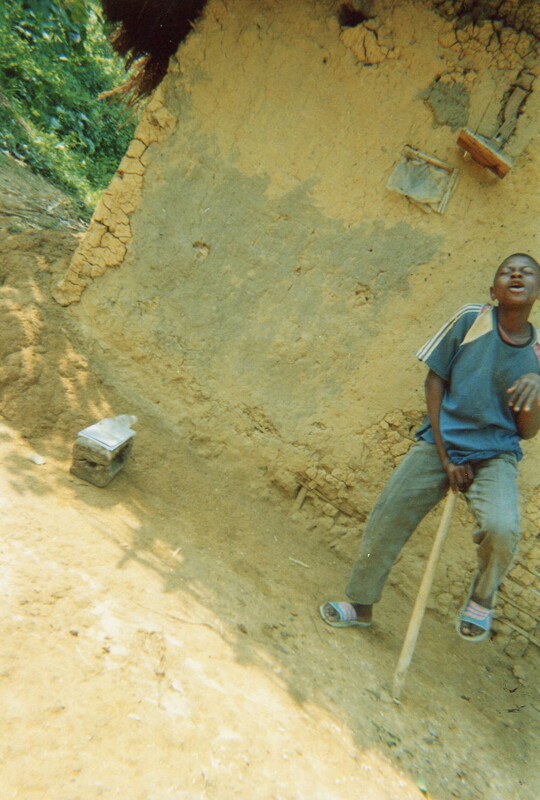 A young boy who became mad due to gunshots. The youths who left the army are very weak, but they stay on the road to do some work to help themselves. That old man broke his arm after being caught and beaten by the enemies. Where we were at in the forest, we didn't have food, we just got a little, we cooked it. These children don't have anything and they are orphans. It's my friend who gave me clothes when I cam back to the village. This is the problem of burning houses during war, we didn't even have a place to stay with the children, in the forest, with rain without help. This shows when we joined the army without liking it, we were forced, we lived badly and beaten during army trainings. This shows us if we work for the family or for our own work without eating, some fight with others, with many thoughts about life. Here we start to do handiwork after coming out from the forest with the help of PREV-HIA. This is a training in masonry (house foundation building). We are happy when the project teaches us handiwork. This picture shows the difficulty of trainings, the hot sun, the rocks make us fall and we work with hunger. A Mai Mai soldier breaks his leg during a battle in war because he didn't respect the medicine and now he doesn't have any help at all. This sister had suffered a heart attack and disrupted sharp mind because of gun shots and missile, therefore her parents left her. During the battle in war, people ran with very little things into the forest, together with families, it was really tiring. These kids were bothered to go and hid themselves in the forest and now they have returned to their parents. This shows that to become a soldier without loving, teaching us how to steal goats, chickens, cassava, and other things. This shows the scar of Mai Mai forced to join armed groups, he was beaten a lot, also he was shot on the leg, he is unable to work. 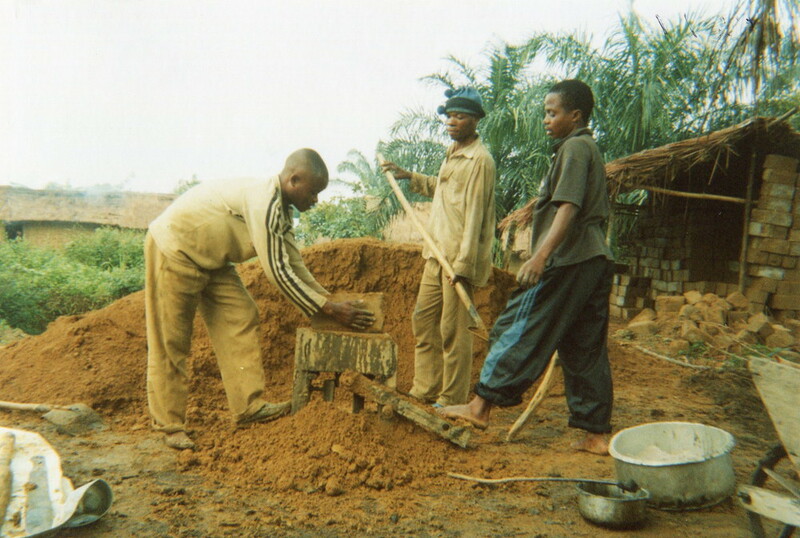 Here we learned how to make bricks with the help of our project with child soldiers. Here we hunt people's pigs because of hunger when we came from the forest (armed group). We were in masonry training with the help of the child soldier project of CELPA. Here we achieve that level in building house through training we received, in enduring difficulties. The house where they kept me when I came out of the forest. Again, the house that I was in, I was afraid because many times I thought they would kill me because at the time they were really looking for the Mai Mai. This child is asking for a pan and he needs food because he doesn't have any. Since the time I left the bush, children always shout and laugh at me. Because of shame, I don't know what to say. This is a church where they prayed for me after I left being a soldier. This man is an elder in the church and he prays for me. This woman is one of the people who helped me when I came out of the forest. And now she is sick. And I don't know how to help her because I don't have anything. This woman is Mama Msamaria who helped me with fabric when I left the forest. This boy watched over me and gave me his clothes when I left the forest. When I left the forest this man hit me and poured water on me without forgiveness. This sister was with us in the forest. This woman welcomed me and gave me food. This woman is feeble whenever she remembers her child who died during the war. 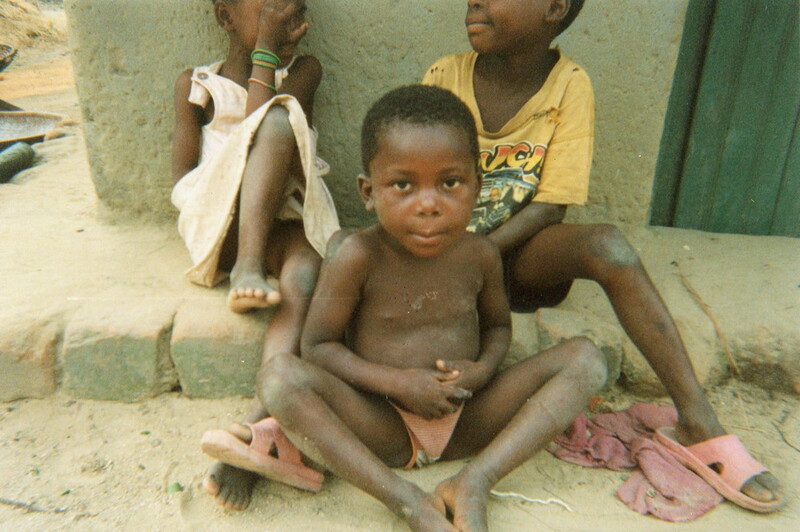 Among these children are those who are exhausted and need better feeding. This man is a Mai Mai like me. He became deaf owing to weapons and bombs' bangs. These are Mai Mai and they mix this food with bad food. These young boys are my brothers who have machetes for farm activities. These are our girls we were with in the Mai Mai, we returned to the village and we live together. This woman is the wife of the chief, she welcomed us and I stayed at her place for six months because I was far away from my parents. This sister is a very good friend, she received me very well and with her advice I got along. This mom was one of the widows we were with during the war. She remembers her husband who died with the Mai Mai. My father is holding a hoe and needs to improve food. This man is a collaborator thanks to his pieces of advice but he often asks me a help. This mama saw me in the forest where I was hiding and she took me to her home. Nurses pick up a dead body during the war. Dad was hit with a bullet in the leg during the war. To return displaced people to the village. Children leave their parents during the war. All the school materials of a boy are taken from him during the war. Women left their husbands during the time of war. Drivers of motorcycles during a peaceful time. The place of people fleeing during the war. The house of a nurse who was killed during the war. 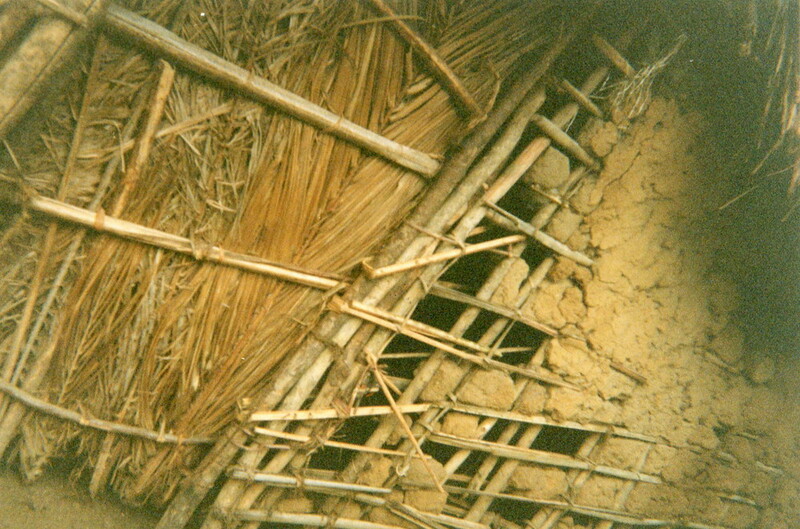 A house that was hit with a serious bomb during a bad time in the war. A father and his child had all of their things taken from them during the war. The boy's leg was broken by bullets during the war. The work doesn't have all the tools to work. To run crazy if there is no help. A girl's leg was paralyzed. A father and all of his small children in the forest during the war. An old man stays with his children because his wife died during the war. Children stayed in the field during a war time of difficulty. A family's house was burned during the war. Displaced people cross the Elila river in a canoe during the war. The war makes people cross in a canoe to go into the forest. A counselor for all of the widows who lost their husbands during the difficulty of war.